In an era and a region where every politician is interested in capturing the best of what is visible and tangible, a politician hailing from the northwestern part of the erstwhile State of Jammu & kashmir, has campaigned on the outstanding national question of his people and clinically won an election, against all odds. of the Balawaristan National Front, won a byelection in his home constituency of Ghizer (L-A 19) and thereby became a member of the Gilgit Baltistan Legislative Assembly. This despite a political agenda that directly questions Pakistan's occupation of the territory and being head of a party that espouses the total independence of Gilgit, Baltistan and Ladakh. 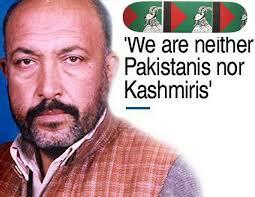 He aspires for their re-emergence into a re-union of "Highland People" under the nostalgic name of Balawaristan. The geographic demarcation of Balawaristan would include all areas referred to as the 'Northern Territories' during Dogra Rule and include Shenaki Kohistan and Chitral at the very least (which are currently considered to be constitutionally a part of Pakistan and thus included as part of Khyber Pakhtoonkhwa province). Many people in these territories certainly describe themselves as part of the 'Kashmir Issue' but the vast majority of those that this writer has interacted with, do not consider themselves as a part of the erstwhile Dogra State, not on their volition at any rate. returning to the configuration under Dogra Rule. committment to his cause has kept him unmarried, he is now 50. So intense has been his political life since 1989 when he produced a manifesto and launched Balawaristan National Front with a few friends. A second of three books followed, probingly entitled "Kashmir ka Chowtha Fareeq (Fourth party of Kashmir dispute). An intolerant regime inevitably tried to curtail his creative political ideas and put him up in jail for more than three months on a couple of occasions, usually under the colonial remnant of section 124(a). This electoral win was his third attempt at testing the prevailing power structure since 2004.
party cadre contend that their leader would have won the original election in November 2009 if the ruling federal party (PPP) in collusion with Pakistan's clandestine agencies hadn't formented a 'law and order' situation. A seventeen year old BNF party worker Zubair, was also killed in the melee. The ruling party's candidate won by a mere 24 votes. Naji filed a suit in pursuit of justice but to no avail. His victory is remarkable on many counts, apart from the obvious national one. His two main opponents represented each of the main political parties in Pakistan. The PPP's candidate Eng. Jawahir Ali Khan was reported to be openly supported by both the federal government of Pakistan as well as the governing structure in Gilgit Baltistan. PML(N) was represented by Col. Karim, a descendent of the former ruling family of the region and reportedly backed by the military establishment. A little more than a month before polling day, Nawaz Khan Naji was arrested and jailed along with party cadre on the March 22. Incessant public protest ensured his release on the fourth day of detention. Some party workers remained detained for 28 days whilst one worker continues to languish in detention under the previously cited section 124(a). Various sops including cash up to 10 crore for development schemes, wheat, potato seeds and fertiliser were also pushed aside by a committed electorate, carefully nurtured to understand the larger, long term picture by a man who could possibly be regarded as a legitimate standard-bearer of 21st century politics. There is a clear argument that Naji was able to mobilise the youth to campaign for him round the clock. He won without finances, 'national' party backing or administrative support. Many regard his victory as being far more profound than the winning of a mere constituency seat. They consider it epic and him iconic for achieving it despite the odds. The victory was emphatic to boot. 8,399 votes polled for him, 5,200 for PML(N)'s candidate, with the ruling party's (PPP) candidate bagging just 4,400. Some go as far as to regard this victory as unprecedented in the post-47 political configurations of Gilgit, Muzaffarabad, Srinagar and Jammu. "Nawaz Khan Naji is the first (overtly nationalist) politician to win an election devised by occupying forces with his own party flag and manifesto", stated one party official. Like all great stories, a word or two of caution are in order. Criticism levelled by the other faction of the Balawaristan National Front (led by the exiled Abdul Hameed Khan in Belgium) may attribute Naji's victory to under-the-table compromise with the prevailing power structure, that may not be immediately apparent. Others may quote the example of Muzzafar Relley who started as a nationalist before altering direction to become a loyalist of the former Pakistani President Musharraf's party, namely PML (Q). Whether he accedes to the prevailing 'status quo' and thereby (in)directly legitimises the presence of Pakistan or utilises this platform to address the 'national question' just as he has done for the past 23 years at various national and international fora- while addressing issues of governance for his constituency - will no doubt prove to be a challenge he has yet to surmount. Nevertheless, his victory possibly indicates the intensity of feeling in his constituency about the state of political affairs that prevail over them. Historic reasoning mixed with the confidence that real positive change is possible, appears to have overcome the dire socio-economic reality that blinds most voters of the so-called 'developing world'. Nawaz Khan Naji is conspiciously clear that a lack of education amongst the populace of Gilgit Baltistan prevents the formation of a genuine national consensus. He also recognises what un-natural impediments lie ahead in charting this course. Most certainly, he would need to be doing most of the convincing in the national assembly if he is to genuinely emerge as a 21st century politician that other politicians may - in time to come - aspire to emulate. He must have or develop the ability to make principled alliances with other marginal communities in the State as a whole and across religious boundaries. In the absence of a religious consensus being possible towards determining Kashmir's future status, would Gilani Sahab be willing to transform his stance from a religious solution to a human solution for all the people in the disputed territory? Over the years one has developed the image of Syed Ali Geelani as a resolute, principled and unflinching advocate of the Kashmir Valley's accession to Pakistan. Recognising that his stance has begun to gravitate more in line with the 'azaadi' aspiration as espoused by Kashmir's burgeoning youth, one needs to be clear if his motivations remain centred on the two-nation theory and the implicit contention that Kashmir was an unfinished agenda of India's partition or if he's genuinely willing to conform to an all-inclusive (taking into account all State subjects, religions, ethnicities and regions) approach to conducting a rights movement. Will the marginality that has emerged from living in a Muslim-majority State within a Muslim-minority country irreparably fuel sentiment for religious separation or will it converge on acceptance of a political system that incorporates the just aspirations of all communities within the erstwhile State of Jammu and Kashmir? Many of the communal tensions that have erupted in the State (pre and post 1947) have genuine grievances upheld by each and every religious community. Some writers have argued that negative, exclusivist understandings of the religious ‘Other’ were at the very core of the Kashmir conflict. If each community saw either India or Pakistan as it's saviour or panacea, although one recognises that atrocity based on religious identity has been committed in the past, using that as a basis for a solution is equally un-workable. Irrespective of whether it's Syed Ali Geelani of his own faction of the Hurriet Conference or Ashok Khajuria of the BJP. One also recognises that patriotism and/or nationalism is only healthy if it's administered with the intention of delivering good governance (by it's people and for the larger interest of it's people) within a specifically defined territory. The historical as well as current afflictions of either religious community provide a strong urge for them to identify themselves with the neighbouring country whose majority supposedly share their religious convictions. That is where Syed Ali Geelani Sahab's political strategy despite it's honourable and justified stance in most respects, opens up it's chinks. Firstly, the Pandit community never loses an opportunity to describe him as communal and allege that he played a part in their 'enforced migration'. It appears that the Kashmir Valley – at large - has still not agreed on whether the Pandits were chased away by Muslims seeking a 'pure' Valley, aided by calls from the loudspeakers of masaajid or whether the then Governor Jagmohan enticed them away to fulfill a propoganda ritual, in a move to malign the Muslim majority's otherwise just struggle. This is an issue that requires closure so that it doesn't come in the way of a solution. Otherwise, the cycle of accusation and counter-accusation will always threaten to obstruct and even dominate dialogue. The Kashmiri Pandits appear to be in a constant state of furore and deserve meaningful pacification with a patient ear, at the very least. It is unclear as to whether the Hurriet leader has done enough on that front. The second chink in Syed Ali Gilani's armour stems from his seemingly unquestioning stance over Pakistan's role in the conflict. Although he acknowledges Pakistan's occupation of one third of the disputed territory, he is incorrect in suggesting that Pakistan supports self-determination whereas India does not. He asserts that to be the fundamental difference between the two countries as well as the fundamental factor in non-resolution of the dispute. It could be contested that Pakistan only supports self-determination of the Muslims of the Kashmir Valley in correspondence with it's own self-interest. It clearly has not shown the same level of dedication to the self-determination of the people of 'Azad' Kashmir and Gilgit Baltistan, or for that matter the Pandits of the Valley or other communities in Ladakh and Jammu. When Gilani Sahab talks about the Jammu Muslims (he referred to the Dogra certificate as diluting their Muslim identity in a recent speech in Baramulla) or those of Rajouri, Poonch or Kargil; it quite possibly conjures up the spectre of Muslim majoritarian rule in a future political dispensation that allies itself with the 'Muslim World', at the cost of the culture and heritage of a significant non-Muslim minority. The pull of Pakistan is put in direct competition with the push of India. It gives security relevance and a chauvanistic character to the presence of both armies in the State. Finally, it is unclear whether he talks primarily for the Valley's Muslims, the Muslims of Indian-administered Kashmir or everybody who qualifies under the State subject rule of 1927. It may even be a question of whether or not he would want to shrug off the 'working for Pakistan' tag. Bearing in mind the contention that the Kashmir issue is one that relates to the self-determination of the people that live throughout that territory, rather than a territorial dispute between two countries and thus a human problem rather than a strategic one; it's difficult to pinpoint Syed Ali Gilani's potential influence vis a vis a solution of our predicament. Despite all the above, he's respected by friend and foe alike for his steadfastness and sincerity to his cause. Gilani Sahab is committed to peaceful democratic protest (which even excludes stone-throwing). He has re-iterated on a number of occassions that he'll defer to the fate of independence if that's what people want. He's forthright in his criticism of what he sees as "Indian occupation" as much as he is of the lack of discipline amongst the youth of today. He strives to present a humane angle to the resistance and pledges respect to the needs of other religious communities. When Syed Ali Gilani says that talks must be purposeful, principled and result-orientated , he possibly has more authority than anybody else to demand so. All his five points incorporate those ideals. The sticking point is on withdrawal of armed forces which would most certainly require reciprocation in at least proportional measure from Pakistan. His concerns about the Indian army taking control of prime land and consequent de-forestation with a commercial purpose can be equally levelled at Pakistan. Despite that, he remains the strongest advocate of not affording to wait for Indian democracy to mature. 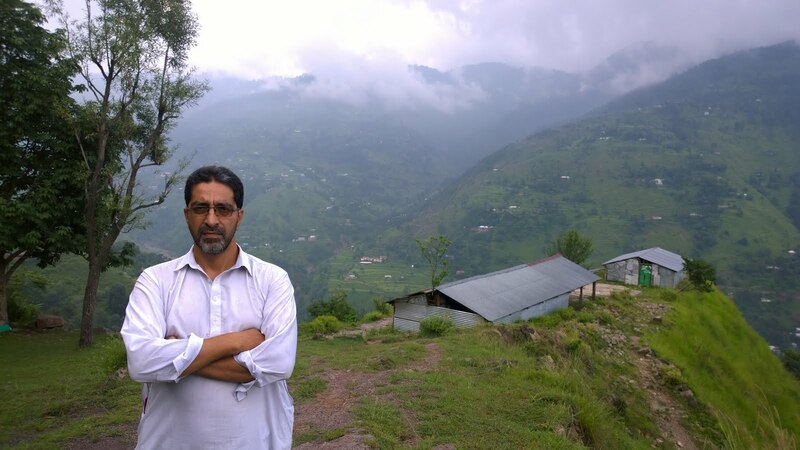 He believes Kashmiri aptitude for autonomous political behaviour can iron out issues within the State more rapidly and justly, hence local polity should not waste energy and resources in what he perceives as 'collaboration' with the 'occupier'. Breaking out of the image of a 'chauvanistic cheerleader' would be necessary for him to stamp his relevance on a future solution. Syed Ali Geelani certainly appears to have moral clout far more in abundance than any other contemporary Muslim leader in the South/Central Asian region. He must have or develop the ability to make principled alliances with other marginal communities in the State as a whole and across religious boundaries. In the absence of a religious consensus being possible towards determining Kashmir's future status, would Gilani Sahab be willing to transform his stance from a religious solution to a human solution for all the people in the disputed territory? That may ensure his religious as well as political success. It could even accompany a lasting solution. The writer is a writer, broadcaster and activist working for civil society development in Pakistani-administered Kashmir and can be mailed at sahaafi@gmail.com. Very enriching and outstanding piece. I think it is time and need of the hour that two of us who contribute from outside the Valley, should make references to each other’s work (cross reference) so that a disjointed work gels into a reliable and quotable constituency. The tragedy remains that Kashmiri writers are boxed and walk in narrow straits of prejudice. We could play a role in changing that mind set.